Jypyä Pop (Turku, Finland) on 21 August 2018 in Art & Design and Portfolio. great find and... Happy ST ! These deer (?) are friendly. Protected, of course ! You mind they don't attack ! @Ronnie 2¢: No, i do not believe it. But ... what are these animals? @yoshimiparis: I am not sure, but I think deer. Ha! They don't seem overly frightened of you and your camera!! Hahaha j'aime beaucoup ton humour du jour ! 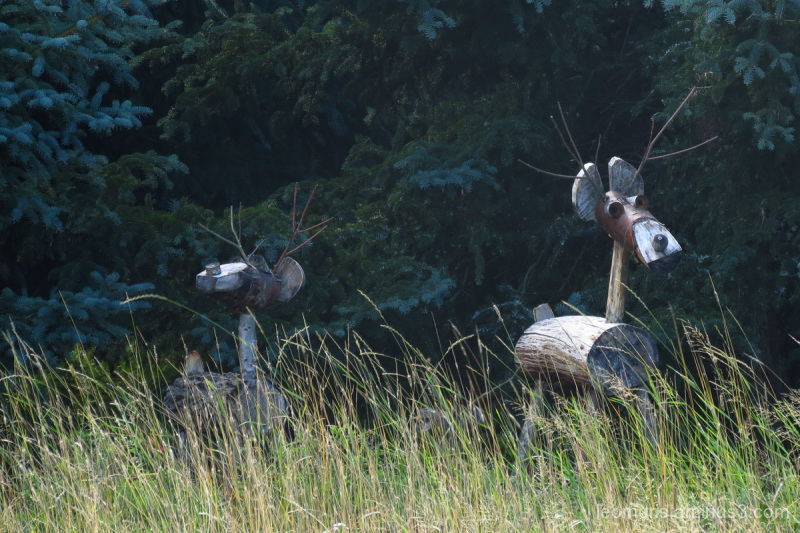 These seem to be very rare deer! Happy ST! Great find ...Superb photo !! Happy ST ! well, since they are protected, they might be available in December if Santa needs any help with his sleigh. Fun shot. @Harry: True Christmas they may be busy.